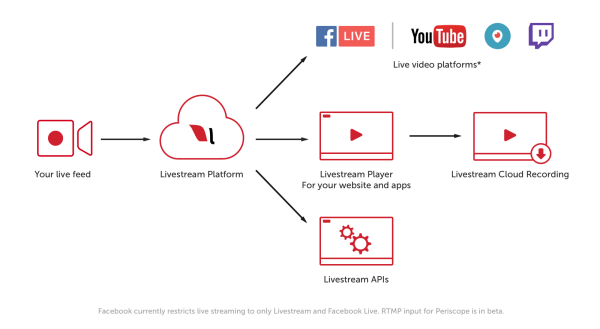 Livestream.com Supports Simultaneous Live Broadcasts on YouTube, Periscope, and More: Livestream announced that its premium and enterprise customers will now be able to “reach millions of viewers on RTMP-enabled streaming destinations such as YouTube Live, Periscope and Twitch.” Livestream previously announced that Facebook Live can be enabled as well. According to the Livestream blog, simulcasting gives broadcasters “all of the Livestream features and benefits – including white labeling, analytics, and support – with the reach and scale of additional platforms” and a “key point of distribution” for all of their live content. Livestream’s premium and enterprise customers will now be able to reach millions of viewers on RTMP-enabled streaming destinations such as YouTube Live, Periscope, and Twitch. Snapchat Delivers Ads Based on TV-like Rating System: Snapchat partnered with Nielsen’s mobile Digital Ad Ratings (mDAR) unit to give brands the ability “to buy guaranteed Snapchat audiences by age group and gender” for their mobile video ads. Adweek reports that this continued partnership is “the same kind of system – from ordering to measuring the results – that marketers are accustomed to with Nielsen’s TV offerings” and basically “expands the Snap-Nielsen relationship which had been limited to ads measurement” until this point. In this week’s show from Friday, January 27, 2017, Michael Stelzner and guests discuss the top news in social media. Topics include Facebook Stories (3:24), Facebook Messenger Ads (15:10), and improvements to YouTube ad targeting across screens and on mobile (23:57). Subscribe to future shows here. 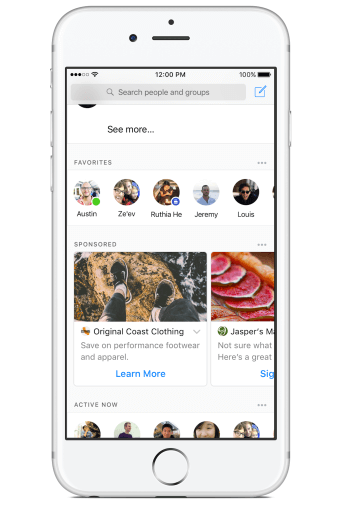 Facebook is testing ads in the Messenger app. 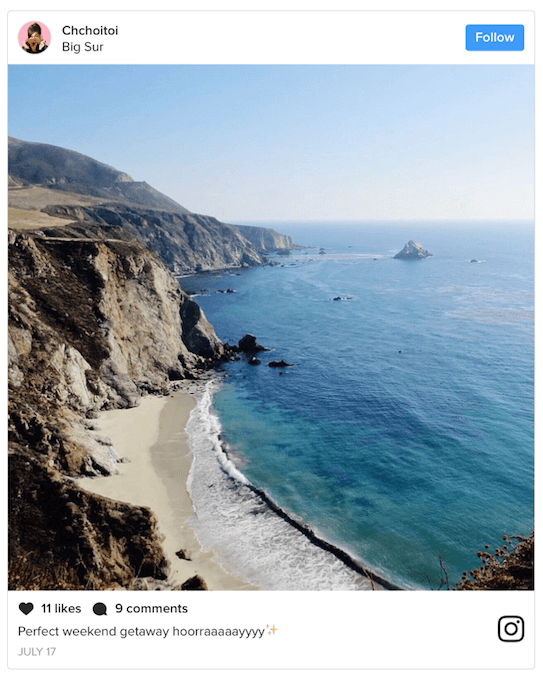 Instagram rolled out a cleaner, more streamlined look to its web embeds. 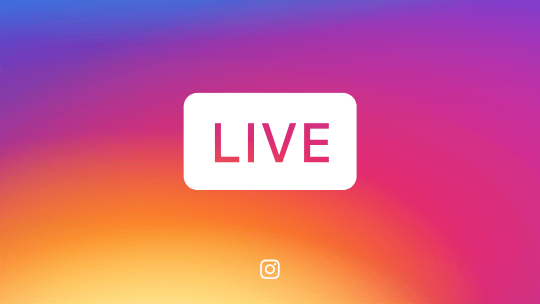 Instagram announced that Live Stories will be rolling out to its entire global community this week. Twitter Introduces Vine Archive: Twitter rolled out a Vine Archive from 2013 through 2016 on the Vine site. With this update, users can search “a time capsule of all posts made to vine.co” by year, by genre under Highlights, by Editor’s Picks, or by Playlists. According to Vine’s FAQ page, the Vine Archive “will not support any of the community features from Vine such as followers, revines, likes, or comments.” However, the Vines can be viewed on vine.co or elsewhere that URL is embedded and shared with their unique URL. 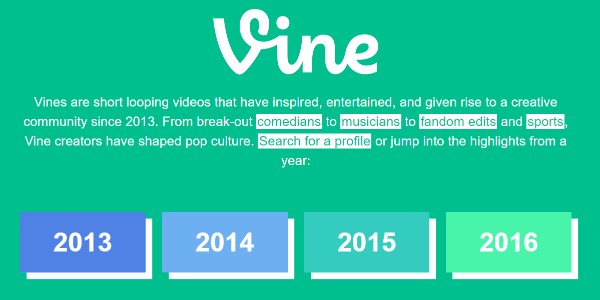 Twitter rolled out a Vine Archive from 2013 through 2016 on the Vine site. Tumblr Rolls Out Stickers and Filters to Apps: Tumblr added “over 100 extremely relevant stickers for your photos and GIFs… [and] a few filters” to its iOS and Android apps this week. A new smiley face icon on the bottom of the screen enables users to add stickers combined with text to customize their images. Tumblr will continue to roll out more stickers and possibly new filters in the future. 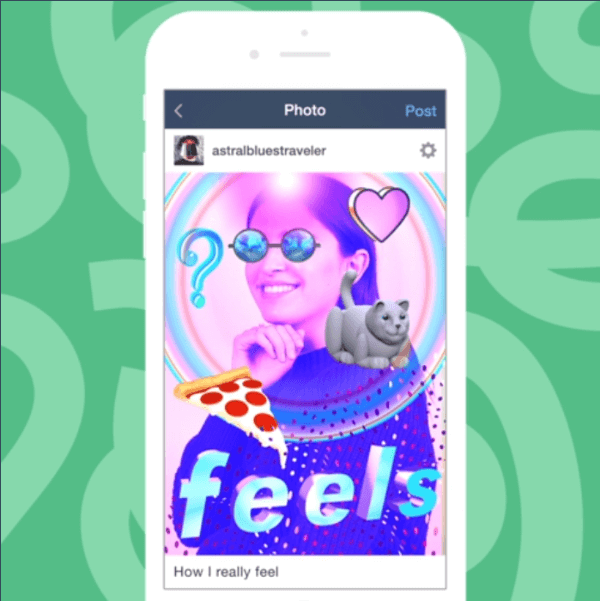 Tumblr rolled out over 100 stickers for your photos and GIFs and a few filters to its iOS and Android apps this week. Facebook users can now register a physical security key to protect their Facebook account. 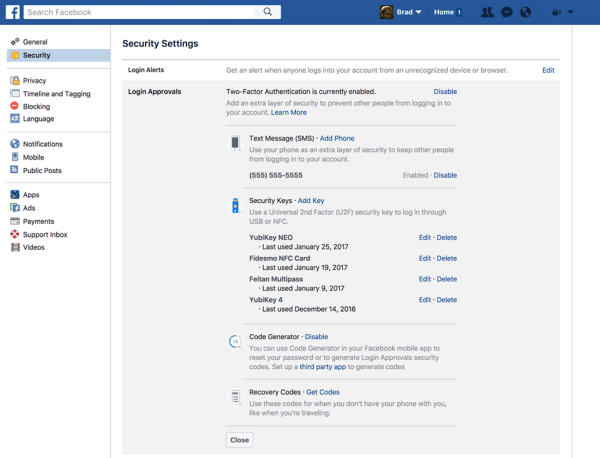 The updated Facebook Privacy Basics site makes it easier to find tips and tools for controlling your information on Facebook. Facebook announced three upcoming updates to Trending Topics in the U.S.
Disqus Previews New Content Engagements Insights: Disqus offers publishers “an early look at the next generation of engagement analytics on Disqus” featuring a redesigned analytics dashboard with audience metrics such as total reads and traffic to individual categories, comments, and more. It also includes insights on which content on your site generated the highest total engagement. This new analytics platform is currently available as an early preview and will be offered as part of a wider rollout of the Disqus Pro plan in March 2017. State of Social Media 2016: Buffer’s State of Social Media 2016 report analyzed data from over 1,200 marketers and found that social media is seen as the best tool to boost brand awareness. The report also explores how marketers from businesses of all sizes approach social media marketing. Facebook continues to be the leader when it comes to promoting businesses (93%) and ads (91%) and video is the most popular approach. Eighty-three percent of those surveyed would like to create more video content, but cite various restraints like time and resources as the reason they don’t. The report also found that 30% of marketers plan to focus more on Facebook video in 2017 and 28% are interested in exploring YouTube. OpenMarket SMS Chatbots Report: OpenMarket’s new consumer survey reveals SMS chatbots are viewed as a “massive missed customer engagement opportunity” for businesses and marketers. For this report, 1,500 mobile users in the U.S. and UK were surveyed on their current experiences with and preferences in engaging with businesses through chatbots and text messaging. The findings reveal that nearly half (49%) of consumers want to engage more conversationally with businesses through SMS, particularly when it comes to dealing with the financial services (49%), retail (27%), and travel and hospitality (24%) industries. 2017 State of Customer Marketing: Influitive and Koyne Marketing collected data from CEOs and marketing executives at more than 200 B2B organizations on how they currently manage planning, resourcing, and measurement of existing customer marketing efforts. This report provides insights and best practices for using customer marketing strategies to expand revenues, improve customer satisfaction, and build a brand. What do you think of the introduction of Facebook Stories? Have you checked out Livestream.com’s new simultaneous live broadcasting for YouTube, Facebook Live, and more? Please share your comments below. 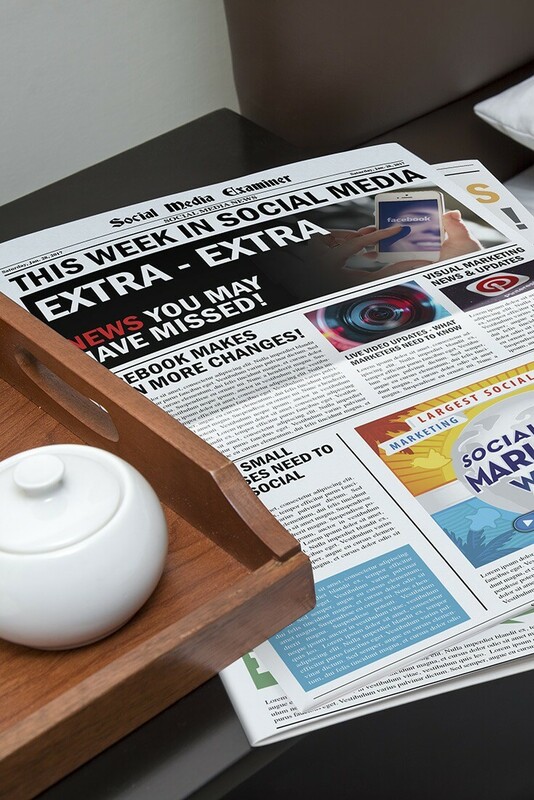 Facebook Stories Start to Roll Out and other social media news for Jan. 28, 2017.